A simple, easy-to-use drama resource by Domm Camenzuli. A variety of activities suitable for use with students from lower primary to early secondary. 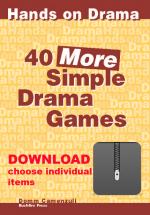 40 More Simple Drama Games is the second in our drama games series. It is a teacher friendly resource useful for drama specialists, classroom teachers, CRTs, and Music or PE specialists. The games are set out as ‘recipes’- you’ll be able to pick up the book and immediately teach the game with little or no preparation. It includes a mix of old favourites and brand new game ideas! 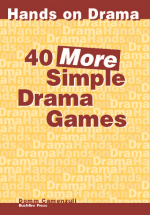 There are three ways to purchase 40 More Simple Drama Games: as a physical book, a download of the entire book, or you can buy and download individual activities. The choice is yours!